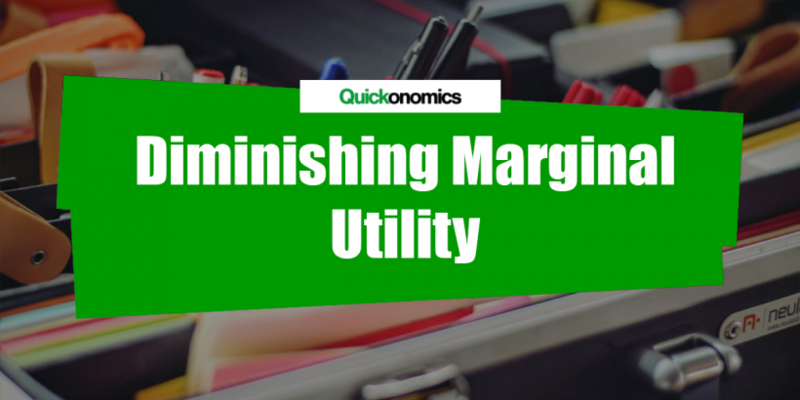 The concept of marginal utility is one of the most fundamental principles of economics. It describes the additional satisfaction an individual gets from consuming one more unit of a good or service. This information is critical for predicting and explaining consumption decisions. 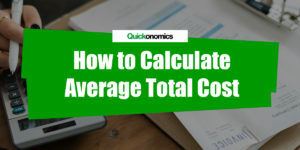 Although actual utility cannot be measured in hard numbers, it is possible to reveal consumer preferences, tendencies, and other relevant aspects that are critical for decision making (see Types of Economic Utility). However to be able to do this, we must first look at the principle in some more detail. First of all, to describe decision making processes accurately it is necessary to think at the margin. Particularly we need to focus on the “next step” and analyze its consequences (e.g. what happens if we buy one more bottle of water, etc.). In other words, to understand decision making processes we have to look at the effects of small (marginal) changes from various states. The idea behind this is actually quite simple. Rational individuals should always consider costs and benefits associated with every action they take. As long as the additional benefits (i.e. marginal benefits) are greater than the additional costs (i.e. marginal costs), the individual will be better off afterwards and thus take the action. For example, if you have to decide whether or not to buy ice cream you probably trade off your desire for ice cream against its price and only buy it if you feel like you are better off if you do so. Hence, mathematically speaking marginal utility is the first derivative of total satisfaction (i.e. total utility) at a specific point. This aspect will be relevant once we introduce the law of diminishing marginal utility. The law of diminishing marginal utility states that the additional utility of a good (or service) decreases as its supply increases. This suggests that every additional unit that is consumed has a lower marginal utility than the unit before. At a certain point the additional utility can even become negative for some products. In those cases consuming another unit will actually decrease overall satisfaction. This principle is illustrated in the graph below. The most important thing to note from this graph is that the utility curve (UC) is not linear, but becomes flatter as quantity (Q) increases. As a result the changes in total utility (U) resulting from an increase in Q become smaller as total quantity grows. 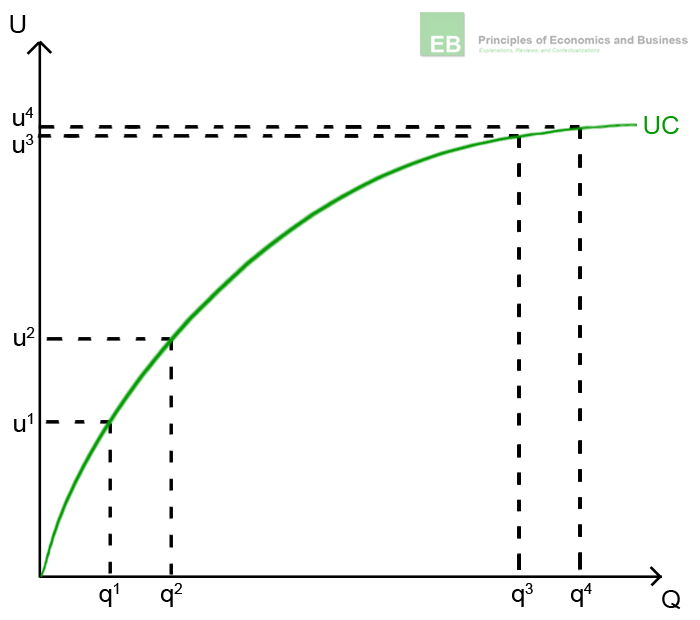 For example, if quantity increases from q1 to q2, the change in total utility (u2 – u1) is quite significant. However if quantity increases from q3 to q4, there is only a very small increase in total utility (u4 – u3) even though the change in quantity is the same. To make this more comprehensible we can look a simple example: the utility of a glass of water. On a hot summer day the satisfaction you get from drinking this glass will most likely be high (especially if you have not had anything to drink for a long time). However if you have just consumed two other glasses of water a minute ago you are probably not that thirsty anymore so the additional satisfaction you get from drinking the additional water will not be that high anymore. At some point if you drink too much you might even get sick and have to vomit, thus marginal utility becomes negative. 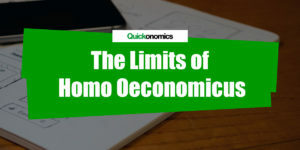 Although the law of diminishing marginal utility is an important and widely applicable concept there are certain exceptions that need to be considered. Thus for the sake of completeness the most relevant of those limitations are listed below. As mentioned before, the law of diminishing marginal utility only applies to rational individuals. If individuals do not act rationally their actions become somewhat erratic which makes it impossible to accurately describe and predict their behavior. The law does not account for fashion trends or other changes in taste. If a product comes into fashion its utility increases (irrespective of the quantity consumed), whereas its utility decreases once it goes out of fashion. There is no (or limited) diminishing marginal utility for goods that are added to a collection (e.g. stamps, coins, etc.). This is due to the fact that collections generally become more valuable the more extensive they are. The law is not applicable for situations that require a specific amount of a good or service to achieve a desired outcome. A common example here is the use of antibiotics. While the right dose might cure an illness, not taking enough pills will leave bacteria with an increased resistance and thus aggravate the illness. 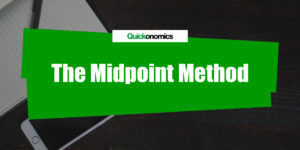 The concept of marginal utility is one of the most fundamental principles of economics. It describes the additional satisfaction an individual gets from consuming one more unit of a good or service. Most products experience diminishing marginal utility, which means the amount of additional utility decreases as their supply increases. For those goods and services every additional unit that is consumed has a lower marginal utility than the unit before. Even though this concept is widely applicable it is important to note that there are several limitations (i.e. assumption of rational individuals, disregard of fashion trends) and exceptions (i.e. collections, required specific amounts) to it. This is well explained and it has made my research easier. Please keep me posted.